This was originally written in 1999. It was written shortly after he was diagnosed with kidney failure and spent over four years on dialysis. He had a successsful kidney transplant in 2004. 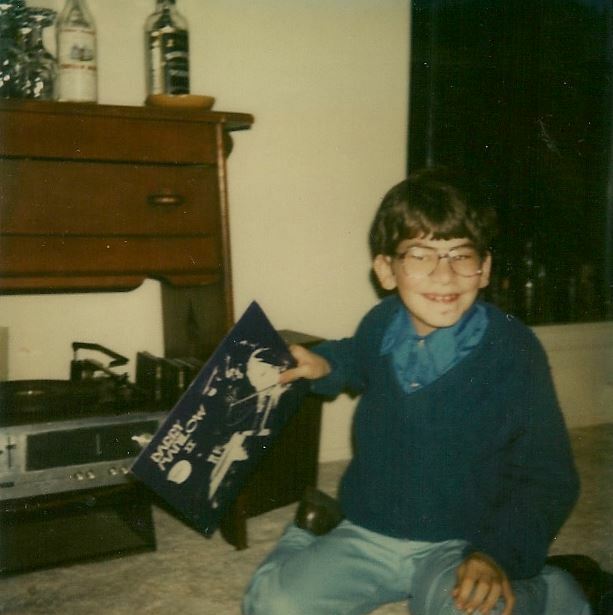 When this was written, he had not yet started his decade long love affair with Kelly Ripa. At this time, he actually had a crush on Kitty Carlisle, of all people. I sat with my brother Tommy and asked him what he would like to help me write about. This was his blog post. I wrote it and he served as my verbal editor. We wrote this on GEOCITIES (remember that?) but the original page is long gone. The only change is to remove any dead links. 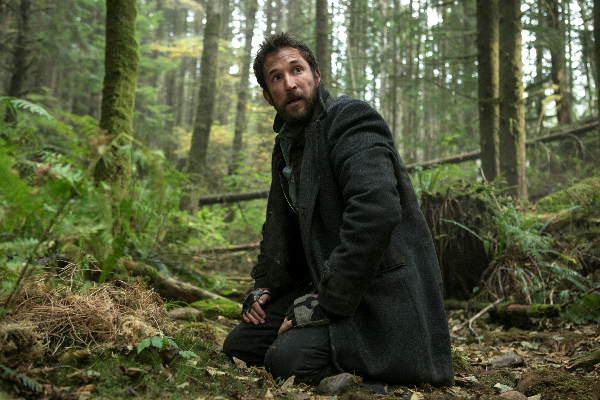 One of the challenges facing FALLING SKIES is how to not become locked into a locale or a storyline area, but also to make the movement feel like a natural progression, an organic story change, and not just same story, different background. In the first season, the 2nd Mass spent most of their time in a defensive position, trapped like a wagon train against Indian onslaught in a Boston high school. For the second season, they became nomadic, searching for an almost biblical promised land, the city of Charleston and what they would find there. Once they did get to Charleston, they found that it really only existed in a subterranean world now, one of artificial lights, industrial corridors, and subdued spirits. Like in season one, the underground mall and corridors trapped them in a defense system, but this time, it also allowed routes and ways for them to expand their battle in Season Three, allowing for a fairly secure home base while being able to protect and defend from the perimeters above. Even that becomes confining, so the discovery that there were others out there, involving President Hathaway in another secret area, allowed the story to spread out again, this time keeping the home base but expanding the locales. This allows for freshness of story and also for a change in tone for the show. The show has moved from a defensive posture to one of taking the battle to the enemy when needed. But as last weeks episode, SEARCH AND RECOVER, showed, you can’t always be on the offensive. You have to know how to defend, how to discover, how to survive. 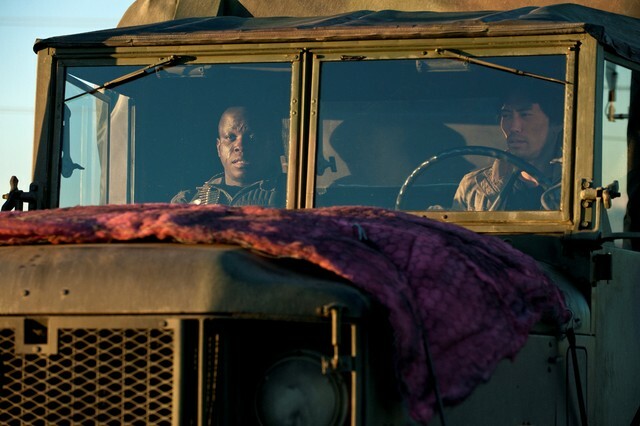 The episode centers on the survival story of Tom and Pope, who have to depend on each other to find their way back after their plane is shot down by the aliens. This survival story, inspired by the 1958 Tony Curtis/Sidney Poitier film THE DEFIANT ONES is a classic case of bonds being formed on two people, some forced, some natural, some out of a need to survive. These scenes of Tom and Pope needing each other to stay safe have multiple shadings. Yes, on the top, it is about the realization that two have a better chance depending on each other, but the underlying distrust and previous feelings about their relationship make for a difficult journey. 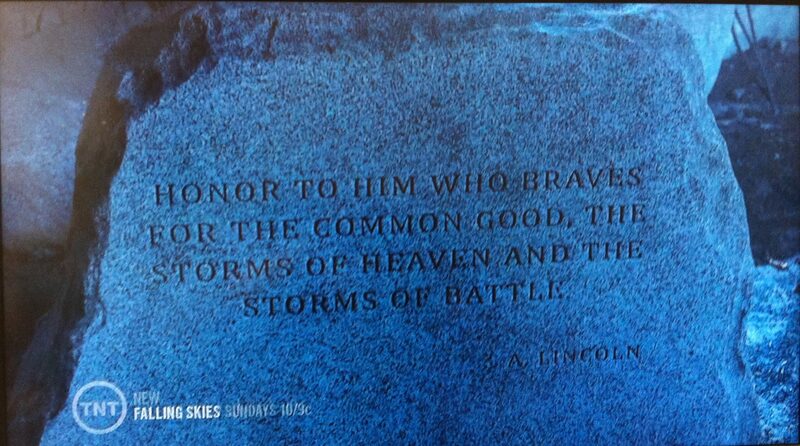 The screen grab above captures a quote from Abraham Lincoln on a marker in Charleston. The quote does a really nice job of describing what Falling Skies is truly all about, standing steadfast and true to those around you despite the dangers from Heaven (death, aliens) and from battle (both from outside forces and inside dangers). That battle forms the human dramatic element of the show, battling what might possibly tear a family, an army, a community, the idea of our democracy apart. 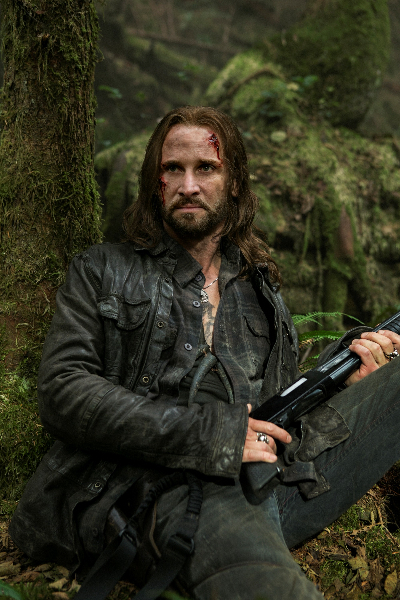 After the two hour opening for Season 3, FALLING SKIES once again showed that, unlike some past alien sci-fi shows, this is no one trick pony. In a show about an alien invasion, it is brave to almost totally remove those aliens from an episode, except for referencing them in dialogue. In a theme that anticipates action, it is brave to write small personal scenes that eclipse any action that takes place in the show. The smallest interaction speaks loudest in this episode. The mysteries still remain: Who is the mole? 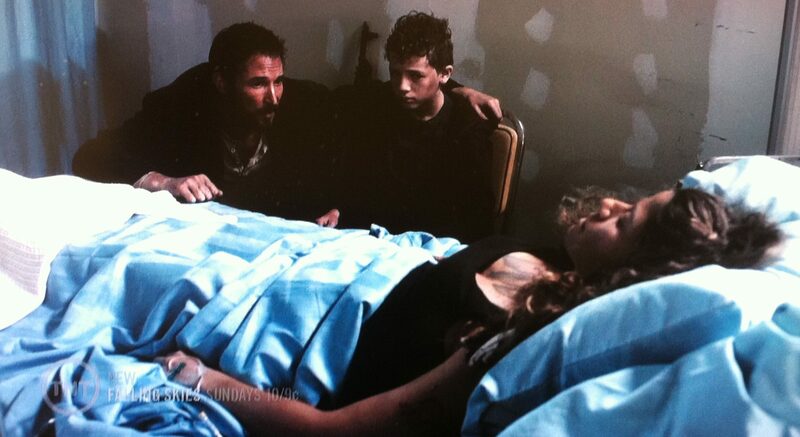 What is Karen doing with Hal? What is happening with Anne and Alexis? Is Lourdes involved? How many “United States” are out there? But this episode shows them trying to set up as normal a life as possible in Charleston in the face of alien attacks. Pope is leading the defense against a possible attack from the Aliens, one that involves patience and attention, not knowing when the quiet will be shattered by an assault. Pope, Tector, and Crazy Lee are the advance guard dealing with the tension of waiting out the enemy by eating baked goods and supplies obtained by Matt Mason. This group includes three (Pope, Crazy Lee, and Matt) who build on the “family” concept of the show by essentially becoming another family. As we’ve seen in previous episodes, Matt wants to contribute, to be part of the action. That desire, almost a rebellious spirit, shows him eager to please, fearless to try, and eventually deeply affected by the consequences. In the last episode, Matt mentioned the Mason family tradition of playing MONOPOLY. Within his family, he is loved but he is still the little brother. Within his “new” family, he is fast rising to what he may see as essential status. And the feeling of inclusion is returned. Matt is essential to calming Crazy Lee as Pope tries to deal with the rebar that has penetrated Lee’s head. They talk to Matt with blunt honesty, not just with cute kid talk. 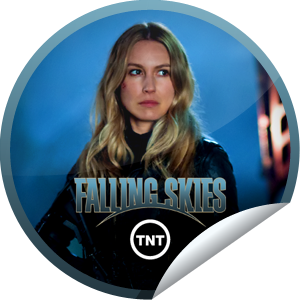 NOTE: You can find a list of my previous FALLING SKIES and TV related blog posts here at the Falling Skies (and other TV talk). These are listed in reverse order. 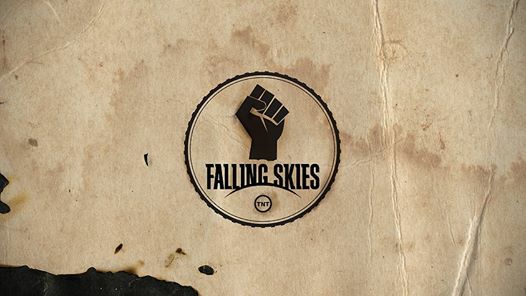 Falling Skies has been on the move this year. Last season, except for the movement out of Boston in the pilot episode, the 2nd Mass essentially stayed headquartered at the high school, defending against attack. They knew they had to move, but when? The second season has answered that. With a couple weeks to go, the 2nd Mass has moved from Boston to Charleston, and has had episodes set at an abandoned airbase, another southern city, and an abandoned hospital, not to mention the first in the Boston suburbs. So much movement has allowed for a lot of energy and not a lot of rest for the weary or the viewer. It has also led to a lot of eye opening discovery of new survivors and subversives. It was only right that as the 2nd Mass heads towards the climax of its second season, it would ratchet down the action and allow for both a breather and some personal discovery. A couple of notes: First of all, this episode didn’t not have an appearance by the character who has become the center point for the story, Ben (Connor Jessup). Other than the recap at the top of the show, Ben is somewhere out there, doing what he needs to do. He is of course referenced in the show numerous times, but his absence allows the show runner and writers to look at the other characters more closely, to allow for us to learn who they were and are, and maybe might be. This also didn’t feature an abundance of action. You had a few “what’s that up ahead” trick moments but there was no real confrontations, no physicality. The skitters are afoot, but the 2nd Mass is learning more about themselves. Now, Tom Mason is not only struggling with learning how to command as well as teach, he also has to learn how to relate to his family that is growing up quickly and in ways that he never imagined. Tom has never seemed to doubt Hal (Drew Roy) and his ability to be on the front lines. Because of his time with the aliens, Tom has struggled to come to terms with Ben, to realize that Ben may actually now have a great purpose to fulfill.